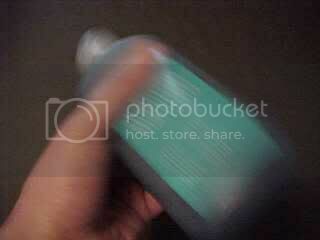 I really like menthol shampoo because of the cool refreshing sensation it gives while showering. 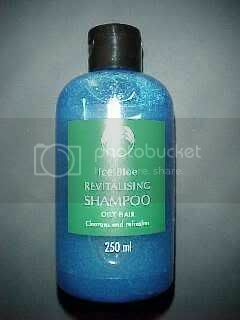 Up until a few years ago I used to buy bottles of Ice Blue shampoo from the Body Shop. Subsequently I found I could make it a lot cheaper myself by using a cheap fragrance free shampoo as a base and adding menthol oils myself. 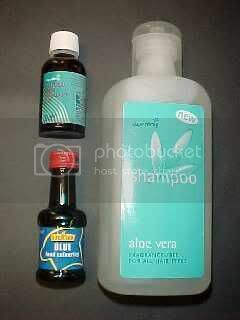 This also paves the way for making unhealthily extreme shampoos, both in oil strength and colour. Here's a 250ml bottle of the Body Shop shampoo which costs about five UK pounds. And here's a 60 pence 500ml bottle of clear, fragrance free shampoo from Superdrug. Pour some of the shampoo out to make room for the additives and subsequent shaking, then put in about twenty drops of the inhalant oil. The bottle of oil contains enough to do about 30 bottles of shampoo, but be careful not to add too much, since this can cause the shampoo to gel slightly. A small quantity of food colouring can be added as desired. Shake the bottle hard until the colour has diffused through the entire contents, then shake it a bit longer. Bingo! 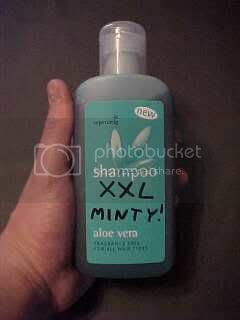 Unacceptably strong minty-fresh shampoo that can be labelled as desired. 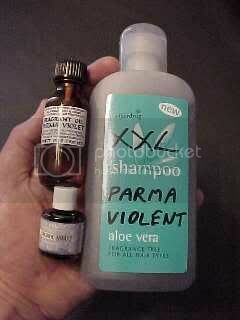 Of course you needn't stop at the addition of menthol oils... You can add any fragrance you desire, like this bottle of intensely strong Parma Violet shampoo. Yes I did add the extra "N" to violet to show it's true colours. As usual, you try this at your own risk. Although I've never had a problem even with the XXXXXL version.